Mastery School of Independent Learning will create and maintain a learning environment that embraces the concept that all students can learn at their own pace in a community that honors and teaches to all learning styles and individual differences. Through independent learning all students will achieve academic excellence and the necessary critical thinking and problem solving skills to be successful in the new global society. · We believe that if students can’t learn the way we teach them, we must teach them the way they learn. · We believe that students learn in different ways and prefer to learn at their own pace. · We believe that each child is a unique individual who needs a secure, caring, and stimulating atmosphere in which to grow and mature emotionally, intellectually, physically, and socially. It is our desire to help students meet their potential in these areas by providing an environment that is safe, supports risk-taking, and invites a sharing of ideas. There are three elements that we believe are conducive to establishing such an environment, (1) the teacher acting as a facilitator, (2) allowing the child’s natural curiosity to direct his/her learning, and (3) promoting respect for all things and all people. · We believe that a teacher’s role is to guide students and provide access to information rather than acting as the primary source of information. For students to construct knowledge, they need the opportunity to discover knowledge for themselves and practice skills in authentic situations. Providing students with access to hands-on activities and allowing adequate time and space to use materials that reinforce the lesson being studied creates an opportunity for individual discovery and construction of knowledge to occur. · We believe that it is important for students to have the opportunity to study things that are meaningful and relevant to their life and interests. Developing a curriculum around student learning styles and interests fosters intrinsic motivation and stimulates the passion to learn. When students have ownership in the curriculum, they are motivated to work hard and master the skills necessary to reach their goals. · We believe that our Mastery Level curriculum that is aligned with Common Core Standards endorsed by the state of Massachusetts ensures academic success for every child by tailoring lessons to the needs and learning styles of each individual student. We believe that our progressive state-of-the-art teaching practices will assist students in progressing through each content area of the curriculum at their own pace. Each student/facilitator will create an Individualized Learning Plan (ILP) that focuses on his/her strengths and weaknesses in addition to identifying extra support in needed areas of improvement. The strength of our Mastery Level School is that it moves students beyond traditional classroom instruction and gives them hands-on, project based, authentic learning experiences that engage and ignite their young minds. Our Mastery Levels include: Primary Years (K–2), Intermediate Years (3–5), and Middle Years (6–8). · We believe that our Mastery School of Independent Learning will give our students the skills, knowledge, and passion for learning that they will need to excel in high school, college, and their future careers. · Our structure brings students together in multi-age mastery levels: Early Years (Pre-K); Primary (K-2); Intermediate (3-5); and Middle (6-8). 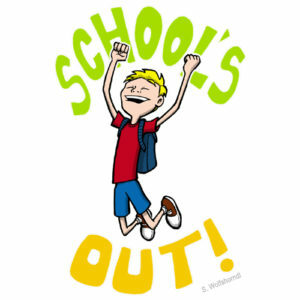 · We have a longer school days (7:30 AM to 5:00 PM). · In each mastery level, all students progress through the required number of modules in each of the content areas (Math, science, Language Arts, History, etc.) at their own pace. · Students must demonstrate mastery at 85% proficiency through a performance based assessment before moving on to the next module in the content area. 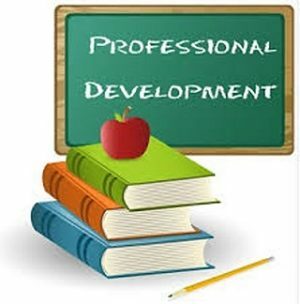 · Student portfolios will be the mechanism in which student work is recorded and maintained. · An Individual Learning Plan will be created for each student. · Our student-to-teacher ratio will be maintained at 15-1.